Nearly 2.3 million people signed up for coverage through the Affordable Care Act's insurance exchanges in the first three weeks of open enrollment, the CMS said Wednesday. 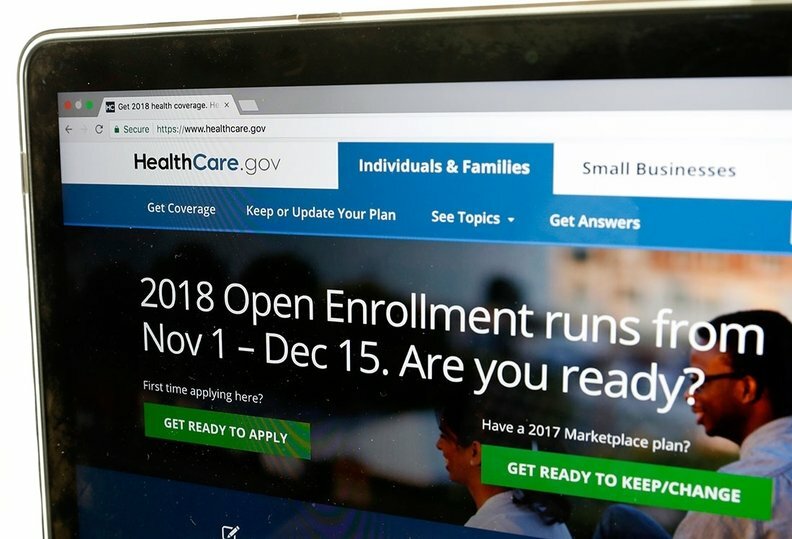 It took more than four weeks to enroll the same number of people during last year's open enrollment, proving interest in the Obamacare exchanges is holding strong despite concerns that mixed messages from the Trump administration and reduced funding for marketing and outreach would hamper sign-ups this year. In the 39 states that use the federal HealthCare.gov marketplace, 799,000 people selected plans during the third week of open enrollment, which ended Nov. 18. That brings total sign-ups to 2,277,079 for the three weeks. New customers make up about a quarter of total sign-ups, while the rest are returning customers renewing their coverage. The CMS data doesn't include customers who will be auto-enrolled in coverage at the end of open enrollment. It also doesn't show how enrollment is going in state-based exchanges. Some state-based exchanges, including in California and Minnesota, have said that this year's enrollment is outpacing last year's. L.A. Care Health Plan, a publicly operated Medicaid plan in California that also sells plans on the exchange, last week said its ACA sign-ups are 40% ahead of 2016. While enrollment so far has exceeded expectations, things could change in the final weeks of the shortened open-enrollment period. This year, open enrollment ends Dec. 15., while it ran until Jan. 31 in past years. The 2016 open enrollment closed with roughly 12.2 million Americans selecting plans on the federal and state-based exchanges. Because people have half as much time to enroll this year, roughly twice as many people will need to sign up for a plan each day to match last year's total.